Where is Lexus made? As you decide which used Lexus model to buy from Richard Catena Auto, it’s important to consider the luxury automaker’s background, including where Lexus vehicles and parts are constructed. Learn more before you visit the dealership near Newark to pick out a used Lexus in your favorite color! Tahara, Japan: Lexus models built at this facility include the LS, the LS Hybrid, the IS, the GX, the LX, the RC, and the RC F.
Cambridge, Ontario: This facility has been constructing the Lexus RX since 2003 and also puts together the Lexus RX Hybrid. Motomachi, Japan: Around 200 craftsmen build the Lexus LFA at this facility. Also produced here are the Lexus GS, the Lexus GS Hybrid, and the Lexus GS F.
Kyushu, Japan: Here, the Lexus ES, the ES Hybrid, the IS, the RX, the CT Hybrid, the NX, and the NX Hybrid are made. Georgetown, Kentucky: This facility produces the Lexus ES. With these facilities creating Lexus models, it also may be of interest where Lexus models can be found. Lexus, the luxury vehicle division of Toyota (the world’s largest automaker), is headquartered in Nagoya, Japan and has operational centers located in Brussels, Belgium and Plano, Texas. The brand is marketed in more than 70 countries and territories around the world. And with the majority of its plants located in Japan, Lexus maintains pride in manufacturing some of its most prestigious models in its home country. Drivers in Japan are the top buyers of Lexus vehicles, followed by the United States. 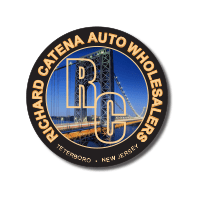 Now that you know more about where Lexus models come from, pick out your own to drive around Paterson at Richard Catena Auto, where you’ll be able to compare a variety of other used luxury cars, as well! What Lexus Accessories are Available? 0 comment(s) so far on Where Is Lexus Made?